Because Eddie O is such an awesome race director he is letting me give away not 3 but 5 entries to the race! WOOHOO!! Thank you to everyone that entered. You can still register for the race! I hope to see you all there. Okay what if I say the Big Bad Wolf is ACTUALLY a 5-mile trail race in Ipswich, Mass? 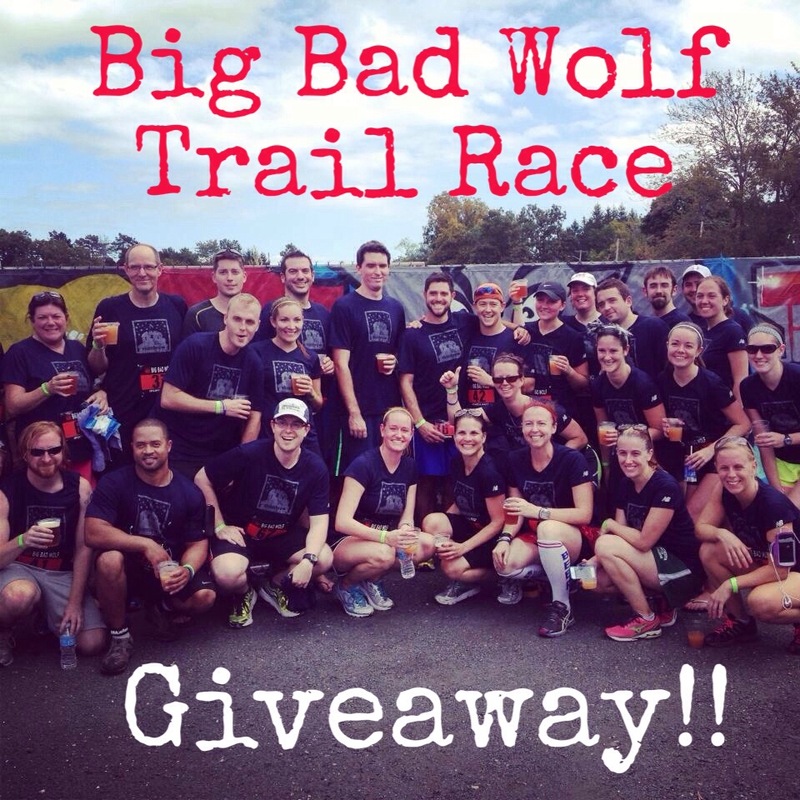 The Second Annual Big Bad Wolf 5-Mile Trail Race will take place on Saturday, September 13 at Noon at the Wolf Hollow, a wolf sanctuary, in Ipswich, Mass. Registration includes a great VERT shirt + free food & beer at the after-party (sponsored by Notch, Slumbrew, Downeast Cider & Ipswich Ale). That's right folks! Like all Cambridge 5k and VERT Races there will be an EPIC post-race party after the 5-mile trail race with a dance-off and great brews from four local breweries. Run in your best wolf or wolf related running costume and you could win a great prize in our post-race costume contest! Now Ipswich may seem like a trek from Boston, but it really isn't. With a Noon start for the race, you won't have to wake up early to grab the commuter rail. Eddie O, race director extraordinaire, also has a free shuttle set up from the commuter rail to the race start. If you are nervous to check out your first 5-mile race or first trail run, the Big Bad Wolf is a great way to break into either! There is a great support system amongst runners, volunteers and spectators. The course map is a loop so you never feel alone and see familiar faces all along the route. Fast & flat course over grass fields and dirt roads. The course starts & finishes @ Wolf Hollow and follows the Maplecroft Trail from Essex Road to Argilla Road and back. The course is well marked with signs and course marshalls. There is a water stop near the halfway point (polo field). There are some slight inclines on the course, but nothing too strenuous like other trail runs might have. It truly is a course for all fitness levels. I can't wait to take on Big Bad Wolf for a second year with the Slumbrew Happy Soles. I am giving away not 1 but 3 entries! Sayy wwhhaaa??? Raise the roof! Woo Woo! So here's how to enter. The giveaway will run from Thursday August 14 (2pm ET) through Friday August 22 (10am ET)! The winner will be selected and announced on Friday!